Typically, when we write these MV-related blog posts, we love to highlight the challenges that a particular feature will help you overcome, or the frustration that a new solution will help ease. Other times, we want to be a little bit more flashy. This is one of those times. With the recent launch of Cisco Meraki’s second generation of MV cameras, customers can now take advantage of three zooming features on both their indoor and outdoor cameras: optical zoom (available on MV22 and MV72 only), sensor crop, and digital zoom. While each is powerful in isolation, when combined, these three features allow you to achieve truly dramatic levels of magnification on your video feed while maintaining extremely high video quality. Just how dramatic is the zoom? Let’s take a look below. The following images show the progression of an image when each zoom option is applied. 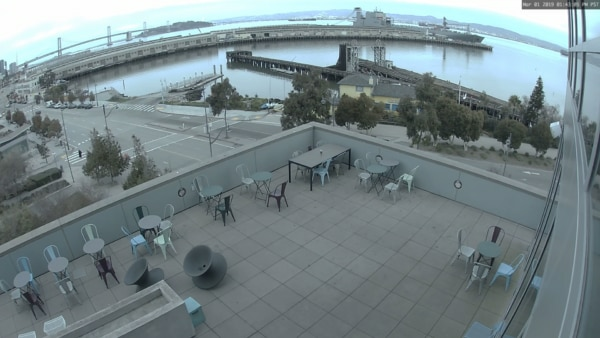 The first photo shows the video feed from an MV72 outdoor camera with no zoom applied. 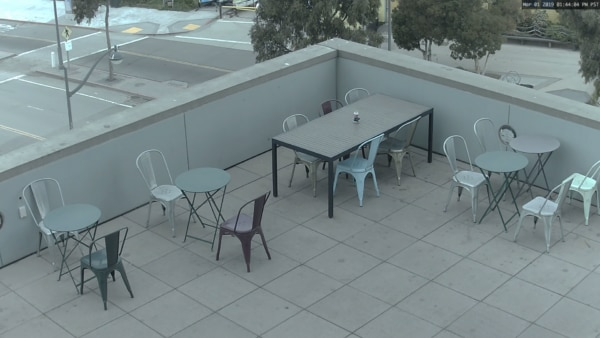 You can see something is on the table in the far corner of the patio, but not much else. 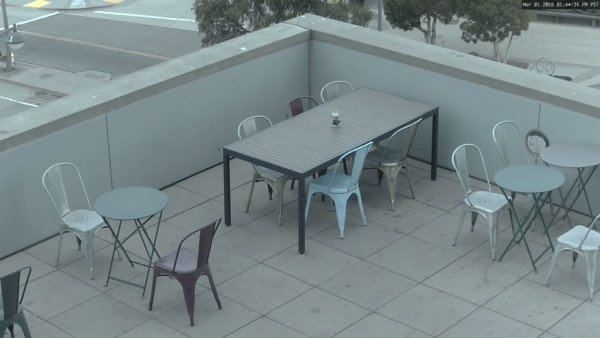 The next image shows a maxed out optical zoom, focused on the table area. We can start to see something take shape, and that shape looks suspiciously like a gnome. In the next image, we use sensor crop to focus in on an even smaller area. Sensor crop, like optical zoom, is lossless zoom, meaning there is no loss of detail or stretching of pixels. Things are starting to look a little clearer, and we can definitely tell this is one of those mischievous Meraki gnomes. For an extra bit of fun, let’s see what happens when we use digital zoom. Maybe we’ll be able to identify which Meraki gnome it is. Can you guess? Digital zoom can be used on live and historical footage. Keep in mind, though, that that sensor crop and optical zoom only apply to footage that was recorded after you applied the settings to the camera. You cannot apply sensor crop and optical zoom on historical footage. So, the dramatic level of zoom illustrated above is only possible if optical zoom and sensor crop were already applied before using digital zoom. If configured properly, your MV cameras can truly can give you (gnome) portraits from pixels. For specific information on how to enable these features for your MV cameras, check out our comprehensive article on MV zooming features, or our digital zoom and sensor crop blog posts. Are you already leveraging these features to get dramatic magnification on the MV cameras you’ve deployed? Tell us all about it over at the Meraki Community!